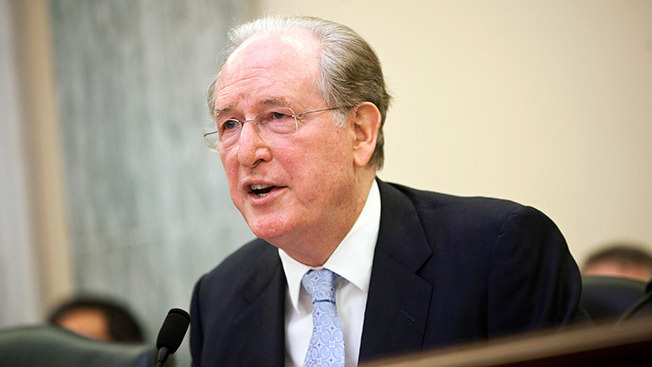 Commerce chairman Jay Rockefeller (D-W.Va.) and Sen. Ed Markey (D-Mass.) have introduced a bill to lift the "veil of secrecy" behind data broker data collection practices, making good on a promise Rockefeller made during a commerce hearing last year. The Data Broker Accountability and Transparency Act, or DATA Act, would give consumers the right to access and correct their information or opt-out of having it collected and sold by data brokers for marketing purposes. The bill would also give the Federal Trade Commission new authority to enforce the law and impose civil penalties on data brokers that violate consumer privacy and trust. The data broker business has become a big target in Washington for collecting huge amounts of information about individuals–from the car they drive to the number of children they have to the size and status of their mortgage. But most people don't even know data brokers exist, let alone how their data is being sold to target ads and other marketing pitches both offline and online. "This booming shadow industry that generated more than $150 billion in 2012 and operates with very little scrutiny and oversight is making tremendous profits off practices that can be disturbing and totally unfair to consumers," said Rockefeller, in a statement. The new legislation comes ahead of a long-awaited report by the Federal Trade Commission on the privacy and data collection practices of data broker practices. The FTC, especially commissioner Julie Brill, have long advocated stricter laws to regulate data collection practices. "This bill will allow us to begin the next phase of the very important conversation about giving consumers control over the profiles, often rich in sensitive information, that data brokers collect about them," said Brill. The Direct Marketing Association and the rest of the ad industry are expected to lobby hard to stop the bill from advancing and to promote the industry's rigorous self-regulation guidelines. Late last year, the DMA commissioned research that pegged the economic contribution of the data-driven economy at $156 billion. "Time and again, Congress has found that access and correction to consumer data are necessary only when the information is used for eligibility purposes. Marketing is not an eligibility purpose," said Peggy Hudson, DMA's svp of government affairs. "Imposing an access and correction regime on marketing data is not necssary to protect consumer privacy and doing so would make it harder for companies to keep data secure at a time when consumers are more concerned about identity theft than ever before." Depending on how much Rockefeller, who is retiring this year, wants to push, the bill could get some traction in the Senate. But it faces a uncertain future in the House, where Rep. Lee Terry (R-Neb. )–the chairman of the commerce, manufacturing and trade subcommittee with jurisdiction over privacy issues–described data as "the new gold."